Mike is a member of the Minnesota Association for Justice, and has chaired a number of committees and served on its Board of Governors. He is a frequent lecturer at continuing legal education programs and has written numerous articles and law reviews for legal publications. 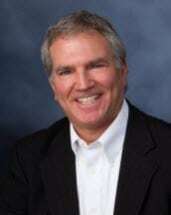 Mike has also been a longtime Adjunct Professor of Law at William Mitchell College of Law in St. Paul, MN. Mike's published works and representative cases can be seen and downloaded at the "Articles & Decisions" page on the website. Mike is also an avid photographer. His photos can be seen at this link. Weiner and Steenson, Products Liability, MTLA Cause of Action Manual, 3rd ed.